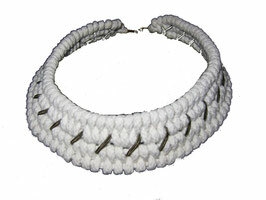 White collar tribal necklace handwoven into a zigzag knot. Grey rope accents threaded throughout. Silver hardware, lobster clasp closure. Measure 15" inches in circumference, 2"inch width of woven section. 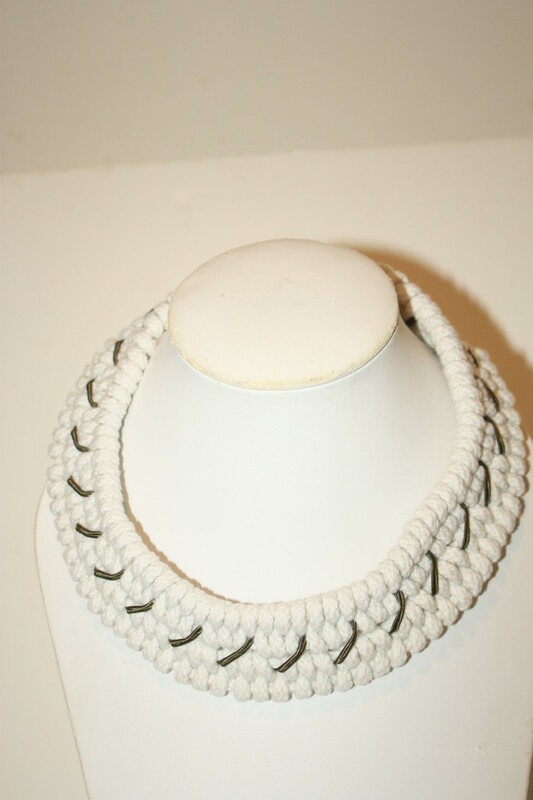 A true unique statement piece, effortlessly goes with everything.